Listing courtesy of Diana Kim (CalBRE#01092183), Wish Sothebys Intl. Realty. 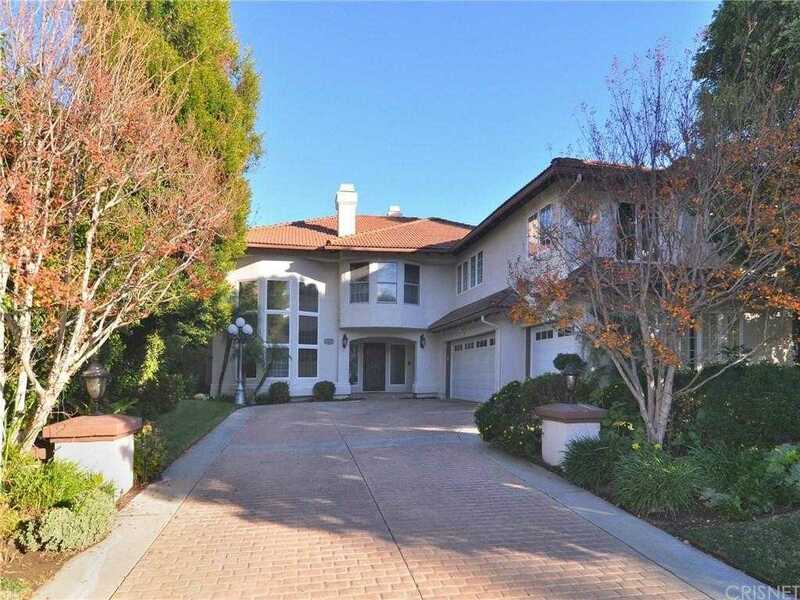 Beautifully upgraded home in 24-hour guard-gated community of Ridgegate. Situated in the most desirable part of the neighborhood. Enter through the dramatic two-story foyer which opens to formal living room and dining room, with elegantly curved staircase. This home features a newly and extensively remodeled kitchen with custom cabinets, large built-in Sub-Zero refrigerator, Viking appliances, a warming drawer and wine cellar, a butler?s pantry and wonderful breakfast area. Wood floors throughout, upstairs and downstairs. One bedroom downstairs with bathroom. Every bedroom has own bathroom. The one-of-a-kind rear yard features a lighted sports court, covered patio, putting green, freeform pool, spa and waterfall. Award-winning Granada High School, Noble Middle and Beckford Elementary. Building size: 4583 sq ft. Please, send me more information on this property: MLS# SR19010374 – $1,445,000 – 18675 Hillsboro Road, Porter Ranch, CA 91326. I would like to schedule a private showing for this property: MLS# SR19010374 – $1,445,000 – 18675 Hillsboro Road, Porter Ranch, CA 91326.